There are many ways that we have tried to share the Gospel, the “good news” of Jesus, over the years. Back in decades past, Christians would often challenge non-Christians with questions like these: “If you died tonight, where would you go?” We would pull out the Four Spiritual Laws and show the person their need for Jesus to be saved from sin. Today, we are more apt to hear a feel-good message, stating we don’t have to be alone or wandering aimlessly. You can live in hope if we believe in Jesus because God has a plan for your life. I believe this is true. I’ve even blogged on a past Freedom Friday about how God does have a specific plan for us. I suppose to those who believe in good and evil, to those who know there is a real enemy, this isn’t a very encouraging message. And to those who think of Satan as a little red guy with a pitchfork and horns, it just seems downright outrageous. The Bible tells us that Satan is real. Given that he fell from heaven and was believed to be an angel (Luke 10:18, Isaiah 14, Jude 1:6), I doubt he has red horns and a pitchfork. 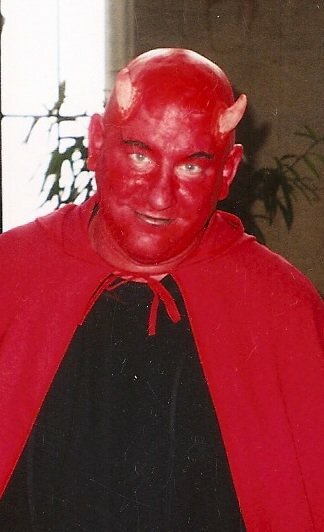 What do many Christians believe about Satan? We like extremes in Christianity, and this is not exception. The other extreme knows there is an enemy, but pays him no mind. When they think of Satan, they imagine that little red, horned creature hanging out in a fiery place somewhere far, far away. Neither perspective is particularly helpful or accurate. What is Satan’s plan for us? Satan’s plan for us is to steal, kill and destroy God’s best. We see this throughout the Bible, first in Genesis, when the serpent said to the woman, “Did God really say, ‘You must not eat from any tree in the garden’?” In convincing her to eat the fruit, her connection with the Source of Life (God) was broken, her intimate relationship with Him ended, and she and the man had to leave the garden, where they had walked with God in the cool of the day. Satan incited David to take a census of Israel, which was not requested by God or blessed by Him (1 Chronicles 21). Satan came alongside Joshua the high priest to accuse him (Zechariah 3:1-2). Satan tempted Jesus during His 40-day fast in the desert (Luke 4), and then left Jesus until an opportune time. Satan spoke to Peter somehow in order to try and convince Jesus to avoid crucifixion (Mark 8:33). How does Satan affect us today? It’s unlikely that most of us will have Satan come and speak to us, as Jesus did. But Satan can still influence us today. Despair. Hopelessness. Defeat. Discouragement. Doubt. He is the dream killer, the hope stealer, and the life destroyer. We can respond as Jesus did in the desert: with truth from God’s Word. We don’t need to walk around in fear of the enemy. As I shared earlier this week, God gives us protection from him. But we are called to be aware that he exists. This is the middle ground of the two beliefs I shared above. We are children of God and through Jesus Christ, we have overcome the evil one (1 John 2:14). This entry was posted in fasting, freedom friday, gospels, jesus, satan, spiritual warfare by Brenna Kate Simonds. Bookmark the permalink. Someone suggested to me that the Gerasene demoniac was an illustration of someone living out Satan’s plan for his life. That makes sense to me.